A Tribe Called Quest‘s sixth and final album. Release date: November 11, 2016. 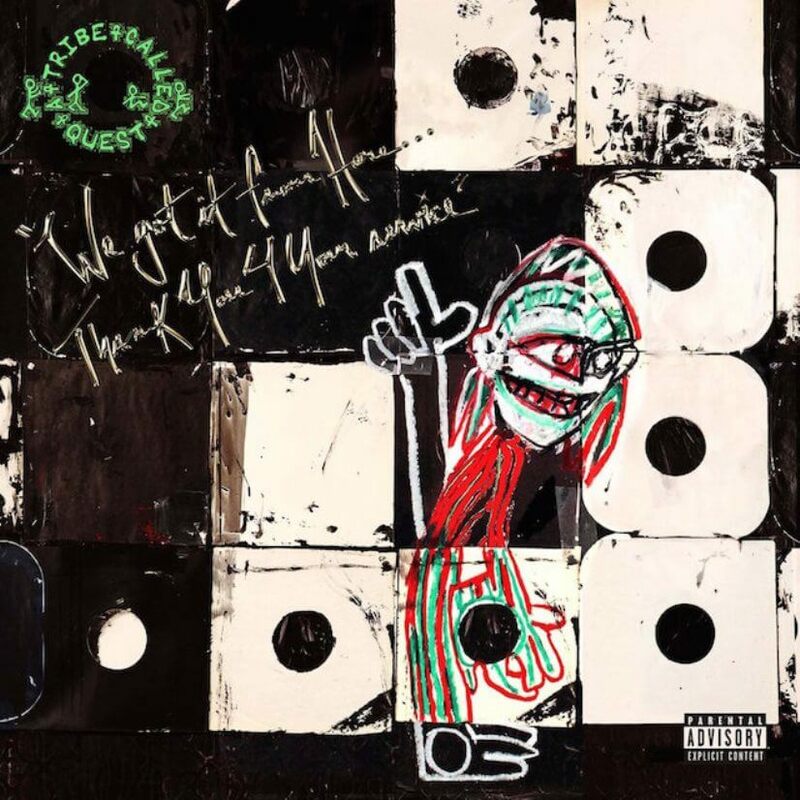 The album features guest appearances from André 3000, Kendrick Lamar, Jack White, Elton John, Anderson Paak, Talib Kweli, and the group’s most frequent collaborators Consequence and Busta Rhymes. The album features contributions from band member Phife Dawg, who died several months prior to the album’s release. After The Love Movement, Tribe split up due to relationship issues between group members, effectively rendering The Love Movement as the supposed final album. For years on out, Tribe denied that any new material was recorded, or even planned, although they reunited briefly to play several shows during Kanye West‘s Yeezus Tour in 2013. On November 13, 2015, Tribe performed on The Tonight Show Starring Jimmy Fallon, the same night of the Paris attacks. Feeling “charged”, the group put aside their differences, and decided to record their final album in secrecy. The album’s title was chosen by Phife Dawg, and although the other members did not understand its meaning, they kept it in place after his death.